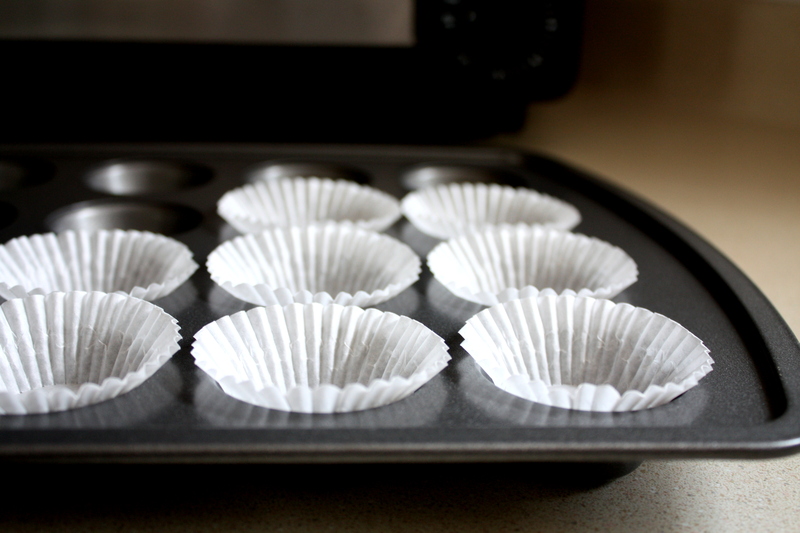 Preheat your oven to 360 degrees (Fahrenheit), and spread some butter (or oil, just a little) on a 12 cup muffin pan. You could also use paper baking cups to line the pan. See here. Next, you want to cream your butter and sugar in a large enough bowl, by mixing the two together until the mixture is light and fluffy. This helps dissolve the sugar and creates a good base for the remaining ingredients to blend properly. Stir in eggs one at a time, mixing well after each one. Stir in the flour, baking powder and vanilla. (You could add some cinnamon too at this step if you have some! I didn't think about this at the time). Spoon the batter into the prepared cups, spreading it evenly. Bake in the preheated oven for about 20 mins, until it looks golden brown, the top springs back and a fork (or toothpick) comes out dry if used to poke a cupcake. Cool in pan, and serve/arrange after cooling.